The MD-80M is a compact dynamic microphone with a limited frequency range. 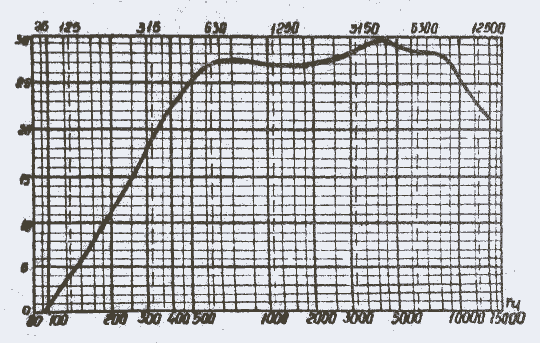 The -3dB points on the published frequency graph are 450Hz on the low end, and 11kHz on the high end. Between these points, there is a +3dB boost around 3.5kHz. A small cache of these microphones, dating to 1989-1991, were found by DIYAC founder Artur Fisher, and made available online for a limited time. They sound more harsh (less low-end response), than most modern dynamic mics, but have quite impressive sound for the price in [the] upper midrange. They have also showed good SPL handling capabilities, so they might serve as tom and snare microphones. Also pretty good for voice if you want to process it as special effect later — like “telephone” voice or something similar. Might be good for guitar cabinets, but only as accompanying microphone for something soft (ribbons?) to add some bite when needed.